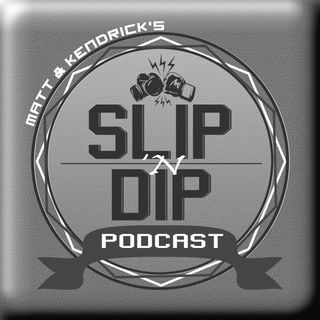 On this episode, Kendrick & Matt are joined by a few of D-Town's finest in the combat sports realm - The Ultimate Fighter 28 Winner Macy Chiasson, 2017 Trainer of the Year Derrick James, and the man leading the hottest gym in MMA today, Coach Sayif Saud! First up, Derrick James returns to the show to discuss preparing Errol Spence Jr. for his upcoming fight against Mikey Garcia on Saturday, ... See More March 16. Derrick dives in to how they broke down Mikey as an opponent and how Spence will emerge victorious infront of a sea of boxing fans that will fill up Cowboys Stadium. Next, we speak to head coach at Fortis MMA in Dallas, Sayif Saud. The gym has grown exponentially over the last year with multiple fighters entering the UFC and Coach Sayif is the man with the plan who created a positive culture of winning inside the gym. Last but certainly not least, we speak with TUF 28 Winner Macy Chiasson who just came off her first official UFC win. Macy speaks on her growth as a fighter, making the change from 145 to 135, and how she intends to climb her way to the title.